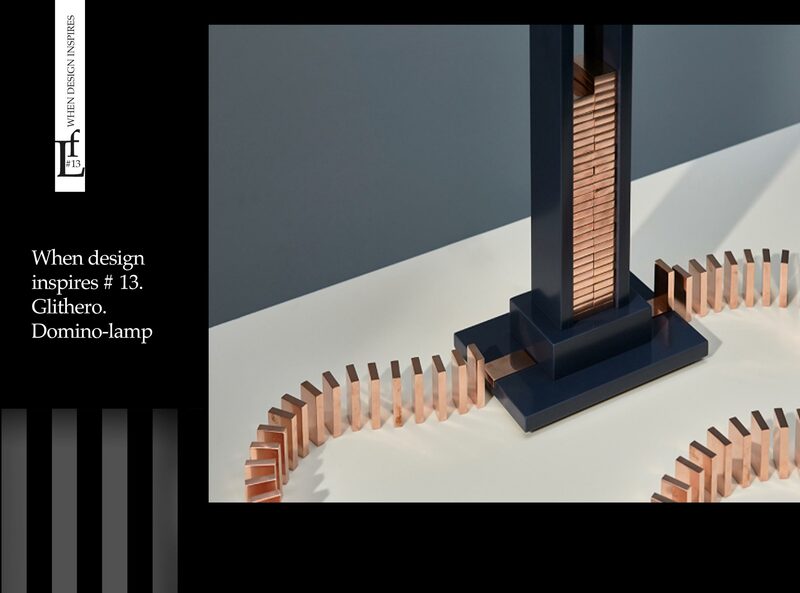 The creative duet of Glithero (British designer Tim Simpson and Dutch designer Sarah van Gameren) never stop to amaze. In their London studio, they create objects, furniture and installations. The key points of their work is the transformation of the object in time. Their credo is functionality, simplicity, understandable to everyone, but created by non-standard ways. When rational thinking is combined, and even a scientific approach (laws of physics, properties of materials) with creative potential, then another “form of life” is born – which can be called Design. The new project is both beautiful and witty. 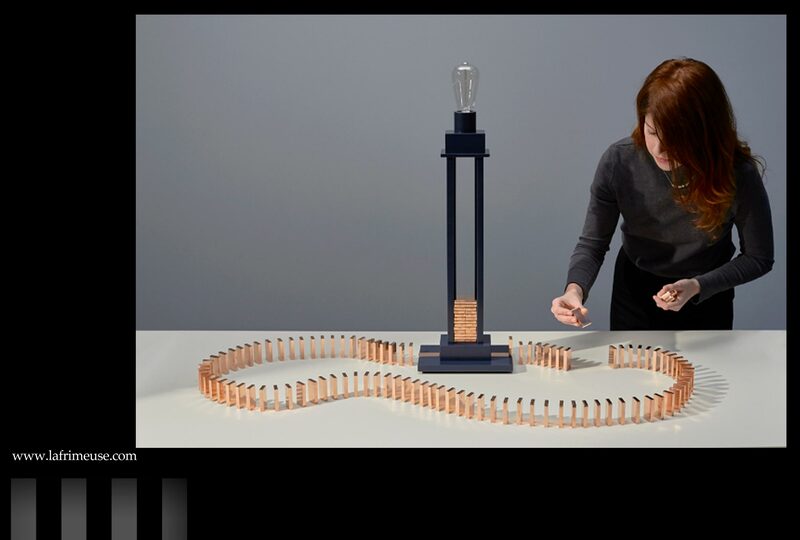 Domino light is a desk lamp that starts to work really according to the “domino principle” of conductive copper elements. Dominoes can be arranged in any configuration, as long as the rally starts and ends at the base of the lamp. When the dominoes fall, the electrical circuit that turns on the light closes. 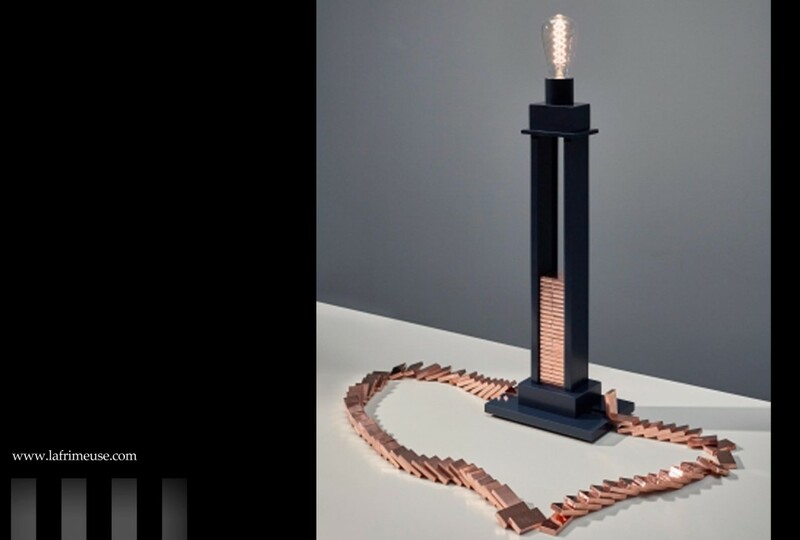 At the base of the lamp is a domino-rocker to start the rally, and a domino receiver, on the other side, to finish it. Inside the lamp there is a place to store dominoes that are not used. The game that is present here makes the process of turning on the light, to some extent intriguing. In our world, where we are accustomed to the newest technologies, have stoped to be amazed by scientific thought and much is taken for granted, here, the observation of the conductive properties of the materials, as it used to be in physics lessons, brings us back to the realization, how much the human mind is inquiring and original.